We’re always on the move! HousePaws offers you the convenience and benefits of appointments in your home, where we can perform most routine diagnostic and treatment services traditionally done in a clinic exam room. You are also welcome visit one of our hospital locations for appointments and for hospital diagnostic, surgery, dentistry and other procedures unavailable on the road. Hospital hours vary by location, so please be sure to check with the hospital before bringing your pet in for an unscheduled visit. Please note that we try to keep space in our mobile vet practice schedule for unexpected and emergency housecalls, but we can’t always guarantee to have availability at all places at all times given the popularity of our service and the drive times between clients. We will do our best to see you as soon as possible! If you live in one our service areas and would like to schedule an appointment, call or text us at the number listed for your area below, particularly for time-sensitive questions or appointment requests. You may also email us at info@HousePawsMobileVet.com or fill in the form accompanying each service area location. (Mt. Laurel | Atco | Morrisville | Bergen County & Area). Appointments may also be requested through the VitusVet app, but require confirmation before they should be considered finalized. Please note that if you wish to make an appointment by phone, we answer calls in the order they are received and spend the time necessary with each caller to get the necessary information for the appointment. If lines are busy, you will be asked if you would like to leave a message. Messages are received as soon as possible after they are left and often within 15 minutes. We strongly recommend you leave a message if you would like to schedule an appointment by phone and our lines are busy. HousePaws patients requesting a refill on a prescription may call us at the number below or email us at Pharmacy@HousePawsMobileVet.com. Most prescriptions can be refilled in 24-48 hours depending on medicine availability. As part of our mobile practice, we offer twice weekly medicine deliveries to your door. In addition, clients are welcome to pick up medications from our office during regular business hours. Please indicate your preference when you call in for your order. Please note that some compounded medications must be prepared through specialized pharmacies that serve both human and pet patients. We can recommend and send compounded prescriptions to specialized pharmacies in each of our service areas. HousePaws believes that the more informed clients are of their pets health the better that health will be. For this reason, we partner with VitusVet to provide you with access to your pet’s medical records 24 hours a day, 365 days a year. VitusVet accounts for all of your pets are free to you and available on computer and mobile application platforms. You may also request appointments through the VitusVet app, but be sure to get confirmation of the appointment before considering it final. You may also request medical records by contacting us at the number below or emailing us at info@HousePawsMobileVet.com. Because we know that accidents, injury and disease are a reality for pets and that accompanying treatment for serious medical issues can be financially challenging for many pet parents, HousePaws recommends that all of our clients consider purchasing health insurance for their pets. Insurance plans will differ in coverage limits and and costs, so we suggest you do your homework in choosing the best plan for you and your pet. 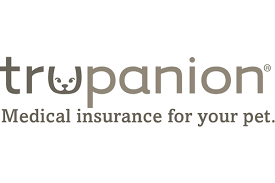 Many who work in our practice use Truepanion, which provides comprehensive coverage to pets of all ages. We recommend you consider Truepanion, but there are other good plans outside of this one you may wish to consider. From routine appointments to emergency situations or surgeries, the CareCredit card gives pet owners the peace of mind needed to care for pets big and small. Unlike traditional pet financing or veterinary payment plans, the CareCredit credit card gives you the flexibility to use your card again and again for your pet’s procedures. Visit the CareCredit website for more information on this service. Find HousePaws in your area! Q: Do I live in your housecall service area? A: For HousePaws appointments, please Find HousePaws In Your Area to see if you live in our mobile service area. For Pet Emergency Transfer Service (PETS), please review the PETS page information on this website and call us at 856-833-4200 for service area and pickup information. For Bathing Beauties, please visit enter your information in the “Does Bathing Beauties come to you” tool.